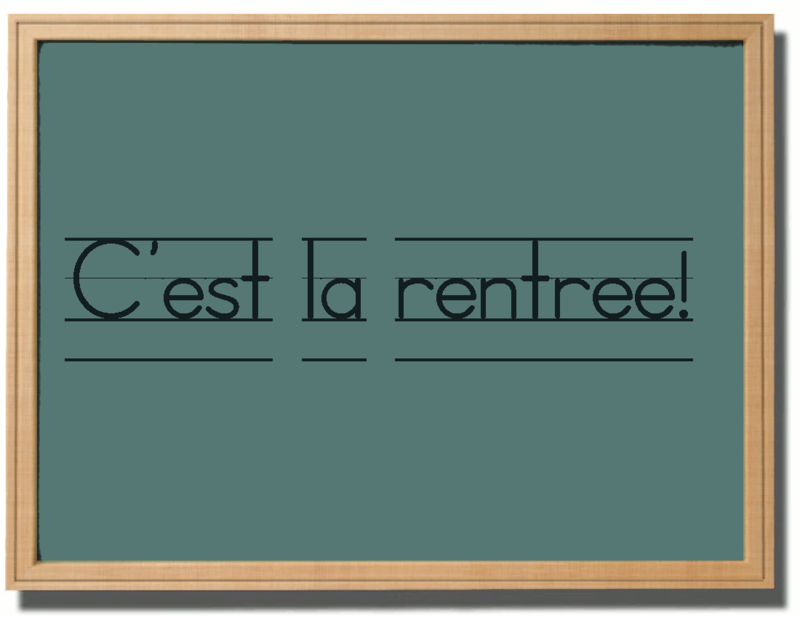 It’s that time of year again–la rentrée. The tourists return to their homes and Paris begins to bustle as it fills back up with residents readying themselves for fall. Summer is behind us, work has geared up and school is in session. Whether you’re new to Paris or returning from holiday, here are a few posts to help you and your family get into the French swing of things. Visit our categories section to find more extensive information on settling in the City of Light. There are posts on everything from dealing with food allergies in Paris to where to find the city’s 24 hour gas stations! Good news if you have three kids or more under the age of 18. The French state is there to support you, even if you are but a resident foreigner. The carte familles nombreuses entitles you to discounts from some 90 commercial partners, the most significant being the SNCF, the French railroad. Families with three kids are entitled to a discount of 30 percent on train travel with the card, with progressively larger discounts for bigger families. There is a 19 euro fee for processing the dossier; once received the card is good for three years. You may request the card on-line and enrollment materials will be sent to you by mail, including all the details about the supporting documentation you must supply and a postage-paid return envelope. Why waste time? You can get started right now. Kids under 10 can ride buses and trains in Paris on a half price ticket. After that, there are several special deals, one of which, the ticket jeunes weekend, I already discussed here. Today’s post focuses on the ImagineR pass available to students between the ages of 10 and 26. The pass is good for 12 months of unlimited travel with the choice to the subscriber of beginning the first of September, October, November, December or January. If your kids will be taking public transportation fairly regularly, getting the ImagineR is a no-brainer. You’ll never have to worry about whether your child has enough tickets to get around town and back home again, and if it’s lost, it can be replaced fairly easily. And if your child takes the metro or bus 5 times a week within zones 1 and 2, you will come out at least even financially, if not ahead. Every information and ticket office within the RATP system has application materials for the ImagineR pass. You must get the application signed by your child’s school before submitting it by mail. You should receive your pass within two weeks of sending it in. For more information, go to the Imagine R Web site at: http://www.imagine-r.com/index.html (in French only).